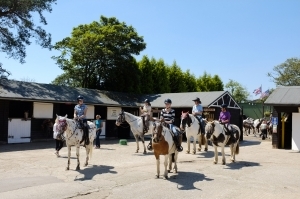 Tammy offers Western Riding Tuition and Competition Training for Horse and Rider from her families riding stables, Burley Villa, in the New Forest, Hampshire. 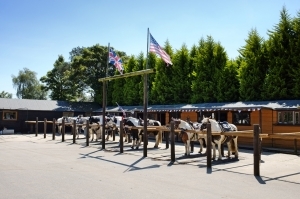 Burley Villa has great facilities – extensive stabling, indoor and outdoor arenas, covered horse walker, round pen and access to riding over the heath and woodlands of the National Park. It is from here that Tammy has been competing around the world since 2001 and where she breeds, stables and trains her competition horses. 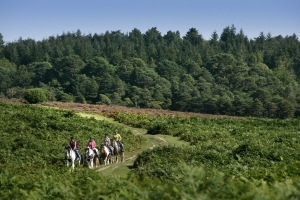 Trail riding, Western Style, is a beautiful way to take in the splendour of the New Forest all year round. Our ‘Paint’ and Appaloosa horses in full Western turnout are a stunning sight as the trail rides cross open plains, wooded enclosures and rippling streams. 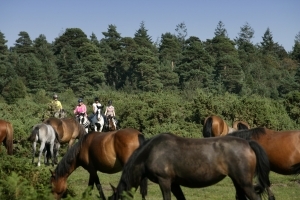 Leave the stresses and worries of life behind you, relax and let Coyote, or one of his friends, take you out for a gentle walk and jog trail through the stunning countryside of the New Forest National Park.